Why is LA’s Water Dirty? It’s not quite as bad as San Diego’s water, but Los Angeles’ water quality ranks among the lowest of U.S. cities (83rd out of the top 100, to be exact). This lackluster ranking comes as a result of a harmful cocktail of chemicals in the water that combine to be 4 times more than the recommended number of chemical pollutants. “Looking at the data, we’re definitely concerned about water quality in Southern California. We recommend utilities really look at their processing. There’s much room for improvement,” said Olga Naidenko, a senior scientist at the Environmental Working Group (EWG), a nonprofit environmental watchdog based in Washington, D.C.
“The nation’s tap water has been compromised by weak federal safeguards and pitiful protection of drinking water supplies,” said Jane Houlihan, senior vice president for research at Environmental Working Group, in a statement. 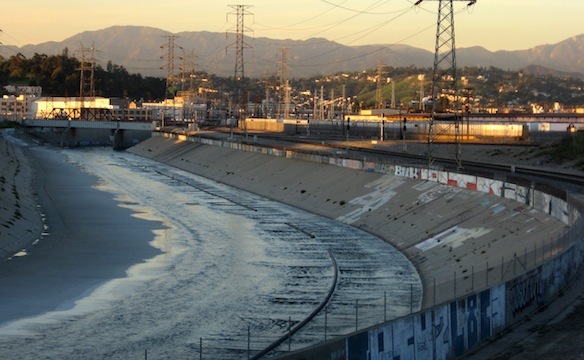 What exactly is so dangerous in Los Angeles’ water? Trihalomethanes are a group of 4 carcinogenic (cancer-causing) chemicals created as byproducts of the chlorine and other disinfectants used to treat bacteria in drinking water . These exceed the federal health standards in Los Angeles. Heavy metal that enters the water supply via mining runoff, erosion, pesticides and emission from glass production . Arsenic has also been shown to cause cancer and often contains radioactive elements. Perchlorate is a component of rocket fuel associated with thyroid illness. We recommend getting a water filter immediately. Check out our products today! This entry was posted in Contaminants, Drinking Water, Water Filter on April 24, 2015 by Drink H2O.